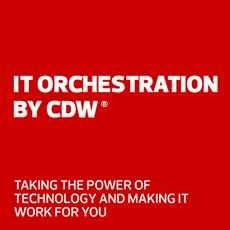 StarTech.com and CDW make it easy to enable and enhance your tech solutions, helping you at each step. From the latest technology to legacy products, StarTech.com is your trusted advisor for business connectivity solutions. Over 3000 products that support over 200 technologies and connectors. Leading industry certifications and warranties. Free 24-hour pre- and post-sales support Monday through Friday. StarTech.com has the exclusive tools and resources to help you find the compatible parts you need. Whatever your needs, StarTech.com has a docking station for you. StarTech.com offers a comprehensive portfolio of premium-quality monitor, TV and tablet mounts, built and tested for use in demanding business environments. StarTech.com SFPs are backed by a lifetime warranty and are fully compliant with MSA standards. But most importantly, they match OEM brands in performance and reliability. StarTech.com can help you identify, find and get the display adapter you need for any situation. Do you feel constrained by the port limitations of your laptop? You can easily expand its display, peripheral and USB fast-charge capabilities. StarTech.com's universal laptop docking stations (PDF) work with all laptop makes and models, including those with USB-C and Thunderbolt 3 connectivity. With all of the hours you spend in front of a screen, having a workspace that’s comfortable and flexible is an easy way to boost your productivity. Create a comfortable, flexible and ergonomic work space by adding the right accessories and furniture add-ons, including cost-effective StarTech.com monitor mounts and tablet mounts. Extend your wired networks to remote locations at extreme distances for maximum network scalability. Save space and enhance productivity with StarTech.com's comprehensive portfolio of premium quality monitor, TV and tablet mounts. Transform your laptop into a powerful workstation with StarTech docking stations. Add performance and reliability to your network with StarTech.com SFPs and Direct Attach Cables (DAC).